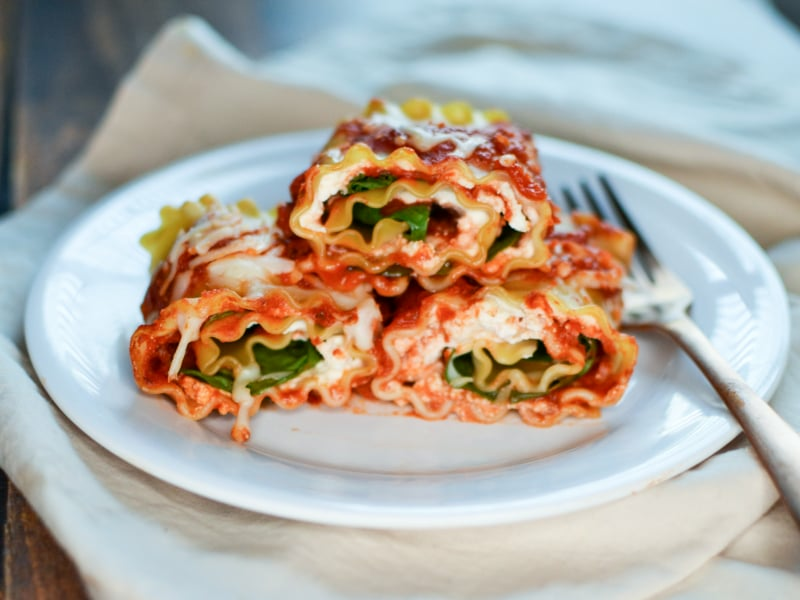 Our quick and easy spinach and cheese lasagna roll-ups are made with just five ingredients. This dish is kid-friendly and perfect for busy weeknights. We especially love to serve them with a side of garlic bread. Per Serving: 45 calories; 1g fat; 5.6g carbohydrates; 2g protein; 4mg cholesterol; 68mg sodium. 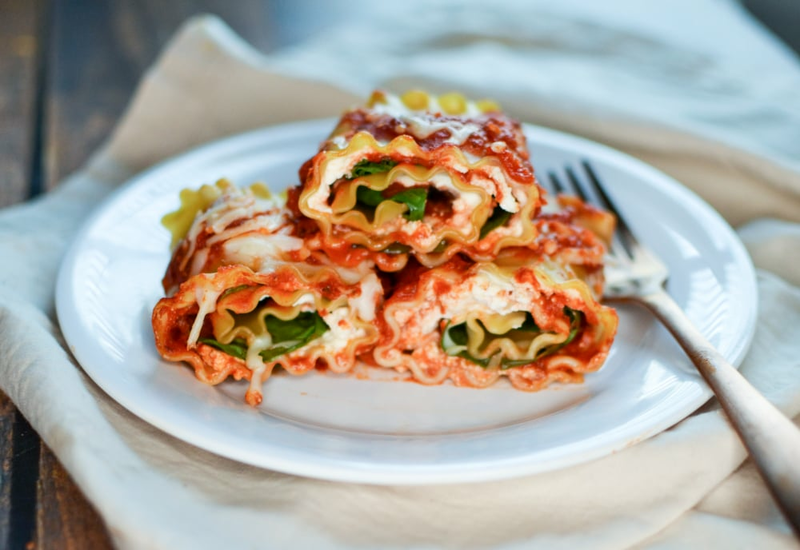 These spinach and cheese lasagna rolls were fun to make, and the kids loved them. Next time I will cook a double batch because everyone wanted seconds. I especially like that it doesn't require a lot of ingredients to make. Just be sure to lay the noodles on a flat work surface, as the recipe instructs. I didn't do this the first time, and a couple of the noodles warped to the dish they were in. I will definitely make these again! 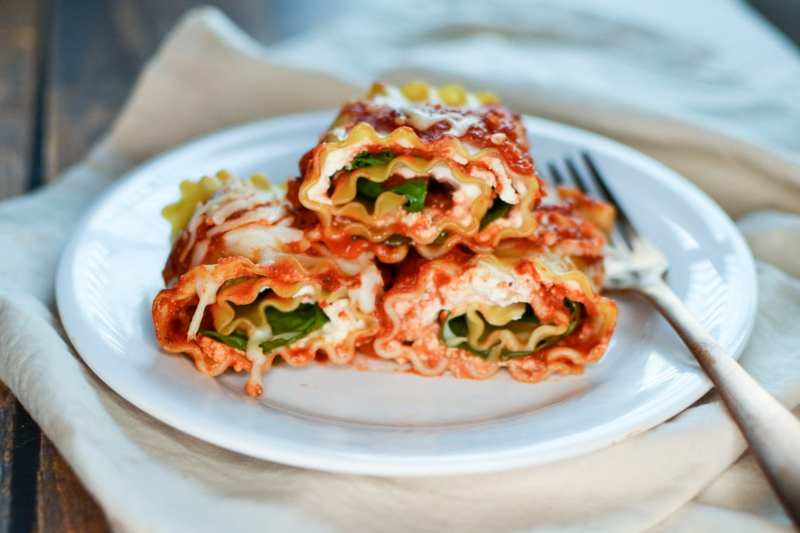 Delicious lasagna rolls. Pretty easy to make, rolling them is the longest part. Great for weeknight dinner. I thought these were really good. I needed to make a double batch to feed enough people but they’re were simple enough and everyone was impressed with the presentation. I also used a garlicky tomato sauce. Great and tasty idea! The whole family liked it, so definitely a hit to be repeated. Only your imagination set boundaries to what fillings you can use in these easy and fun to make lasagna rolls - make sure to get the kids to participate, they will have so much fun! My 11 and 8 yr olds were in charge of making this dish based on all the reviews. It was super easy and delicious, they’ll be making this again!